Meghan (née Markle), Duchess of Sussex, could give birth to her first child with Prince Harry, Duke of Sussex, any day now. We know very little about Baby Sussex other than hints that they will be born in April, but what we do know is that as Meghan and Harry move into their roles as parents, they should eschew certain royal traditions that are best left in the past. For example: Meghan should break the royal photo opp on the hospital steps tradition, which seems explicitly designed to please onlookers while simultaneously torturing brand-new moms who very likely just want to sleep and bond with their newborns. Rumors that Meghan might not post on the steps the day of her baby’s birth have been floating around since at least December of last year. According to reports at the time, Meghan was considering a home birth rather than a hospital one, with her mother Doria Ragland playing an integral role in the birthing process and rearing of Baby Sussex. However, new reports suggest that she will have a hospital birth, though of course we have no way of knowing until the day comes. Now, with the baby’s birth closer than ever, many are hoping she doesn’t follow in Catherine, Duchess of Cambridge’s steps (no pun intended), as per tradition. Fridababy CEO Chelsea Hirschhorn took out a full-page ad in the New York Times last week, urging Meghan to skip photos on the steps of the Lindo Wing at St. Mary’s Hospital (where Kate and the late Princess Diana gave birth) in order to open up conversation around the physical recovery process that a body must go through after giving birth. 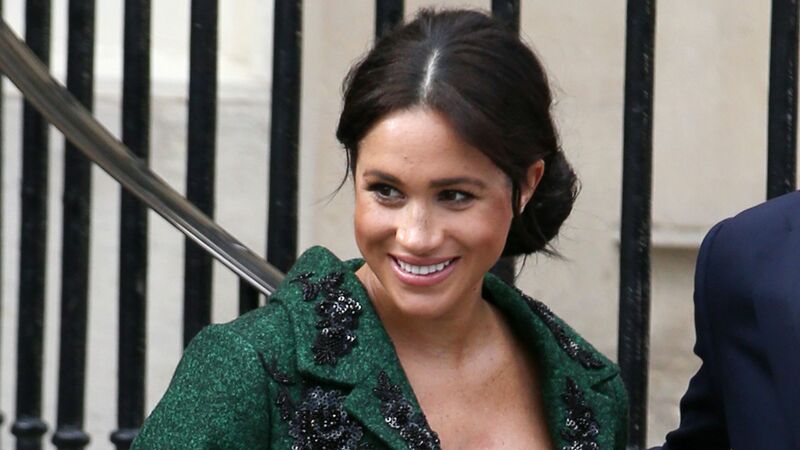 We’re inclined to agree with Hirschhorn; after all, Meghan has used her new platform to push for women’s rights across the globe, even talking about seemingly taboo subjects like menstruation for her official royal bio. Should she choose to eschew this particular tradition, it could go a long way toward increasing awareness around these topics.